Modules allow a simplistic billing and invoicing for goods sold in PrestaShop. 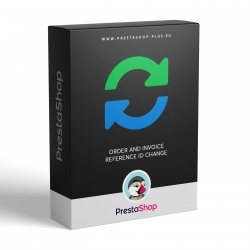 This module change the look of the PDF Invoices, Delivery and Order Slips generated by PrestaShop 1.7.x, 1.6.x and 1.5.x. Look of the Invoices accept valid Slovak and Czech tax rules. 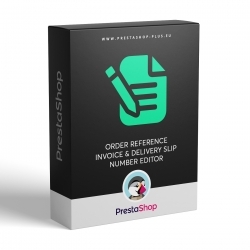 Module allows to customize the default shape of the order reference codes and the invoice / delivery slip numbers in PrestaShop. Module allows to manage Reference, Invoice & Delivery slip numbers for your orders in the PrestaShop e-commerce.